It’s amazing that Seattle’s The Soft Hills has released a new album at all – let alone a good one – due to the obstacles they had to overcome. First, the original band broke up, leaving lead singer Garrett Hobba to find new band members, and then Hobba became seriously ill in the middle of recording the album. These struggles likely helped in the creation of Departure, a dreamy and often psychedelic soundscape that begs to be listened to in the dark. Hobba’s soft yet distinctive vocals plus synths and guitars equal an overall sound that is reminiscent of Pink Floyd, Radiohead and Death Cab for Cutie. Many of the songs have literary influences, such as “White Queen” and “Stairs,” both inspired by Lewis Carroll’s Through the Looking Glass, while they drew on Jean Genet’s novel, The Thief’s Journal, for “Black Flowers.” The album is full of musical layers, deep meanings and the exploration of both the light and the dark sides of life. 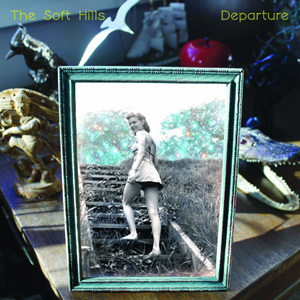 Make a musical departure of your own and give The Soft Hills new album a listen.